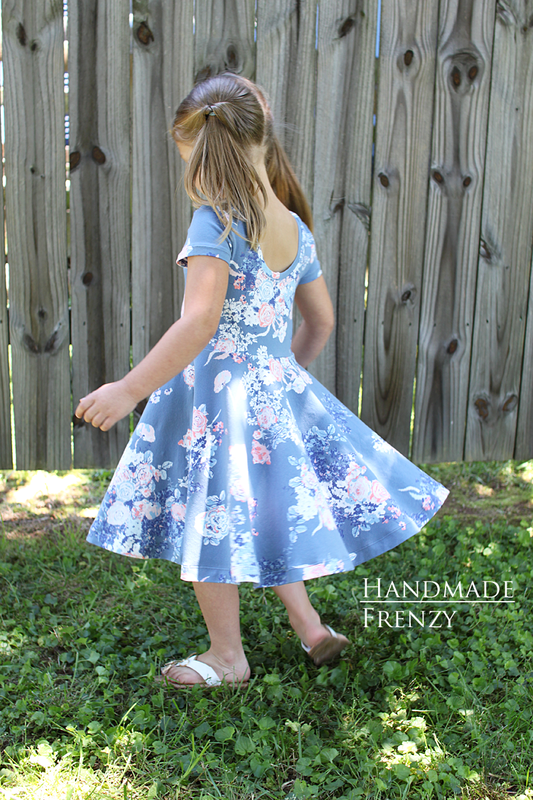 Yesterday I shared all about the fabrics I used to make these dresses for my daughter and I, today I want to share my thoughts on the patterns I used! 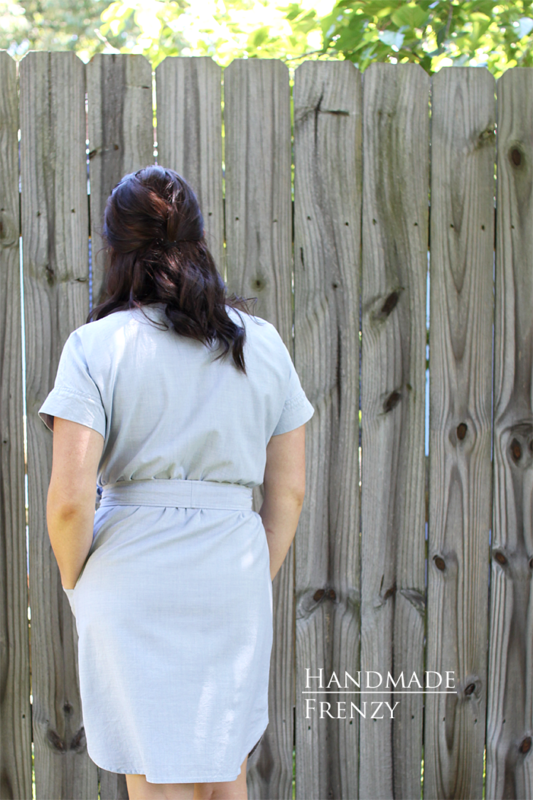 For my dress, I used the Anza Dress by Itch To Stitch. 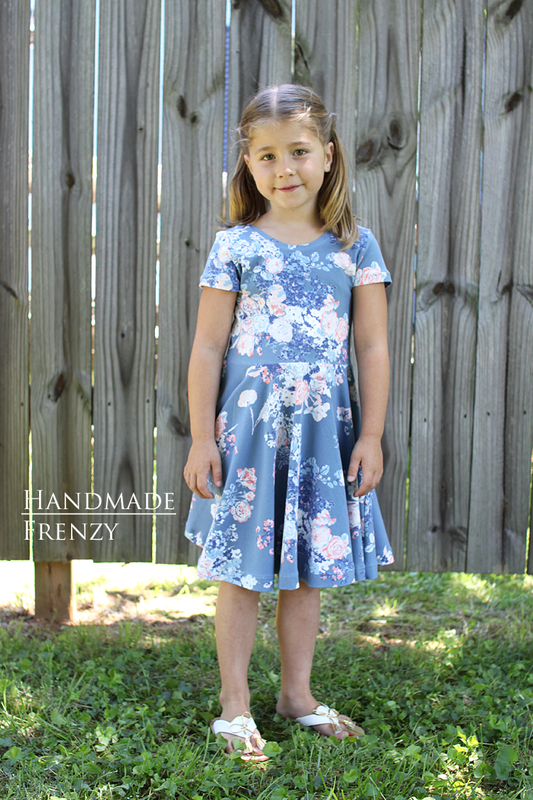 (Affiliate Links) I was so excited to finally use a dress/shirt pattern by this designer. I tested her Tierras Woven Joggers pattern, but hadn't had a chance yet to try a non-bottoms pattern. I am so so happy with how well this dress fits and now am super excited to sew up a slew of her other patterns. 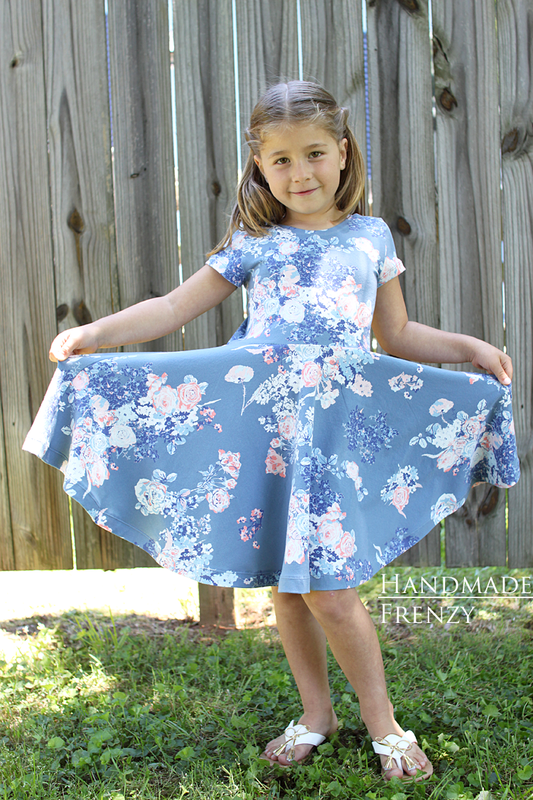 This pattern also comes with a jumpsuit option as well as the dress. Her sizing seems to be pretty much perfect for my body shape, I fell into a straight size 4. I made a quick muslin of the bodice, because I had a hunch that I might need to shorten it some. I am quite short waisted, and it turned out that my hunch was correct. I shortened the bodice by a whole inch to get the waist line to hit at my natural waist. I also wanted to explore the possibility of a sway back adjustment. 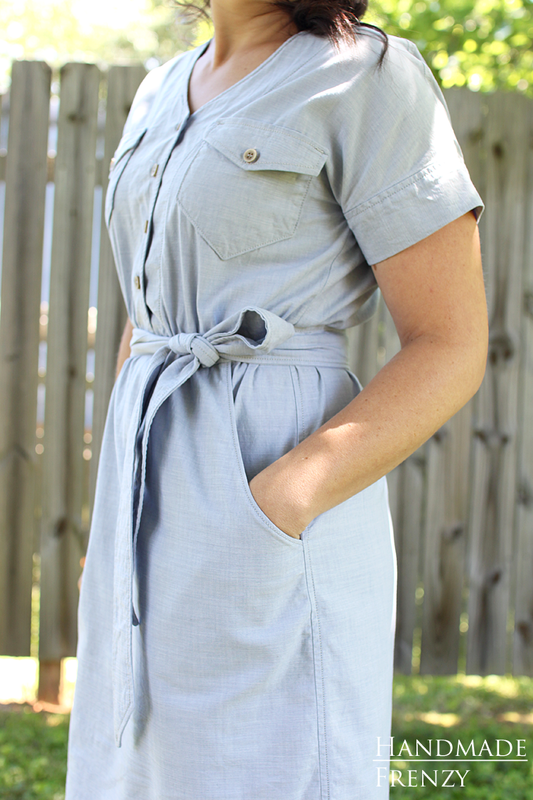 I have a few elastic waist dresses and in each one, I have fabric pooling at my center back. 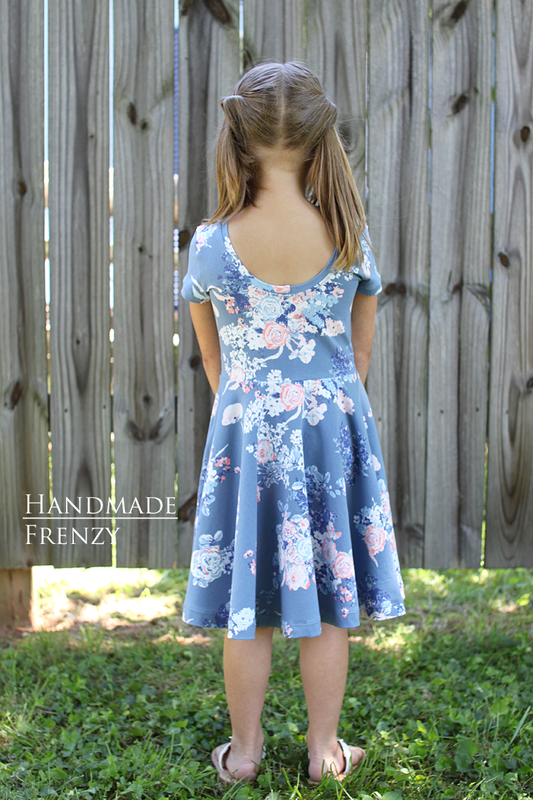 The Southport Dress I made here, has this issue and I'm so happy to have figured out a solution before I make the next one! You can see there is still a little bit of blousing at the center back, but I am totally okay with that because I still want to be able to move. :) If I make it in a drapier fabric, I might do another 1/4 inch adjustment or so. The pattern is drafted for a height of about 5'6". I am 5'3", so I also took an inch out of the skirt length, overall, shortening the dress by 2 inches. I also made a couple of cosmetic changes to the dress. 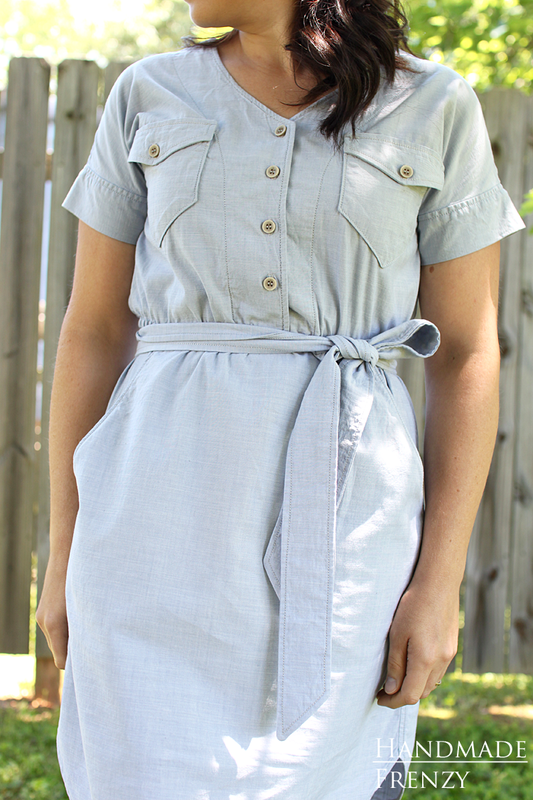 I was going for a bit more of a chambray shirt-dress look. The most obvious change I made, was the pocket shape. I just played a little bit of pocket origami with the pattern pieces and folded until I had the shape I was after. I also used denim topstitching thread to accent the seams, and topstitched in a few extra places as well. I made a separate sash to tie around my waist, rather than the included drawstring. This was super easy to achieve, I just sewed a long rectangle with 45 degree angled ends. I did use interfacing for the sash to give it more structure. 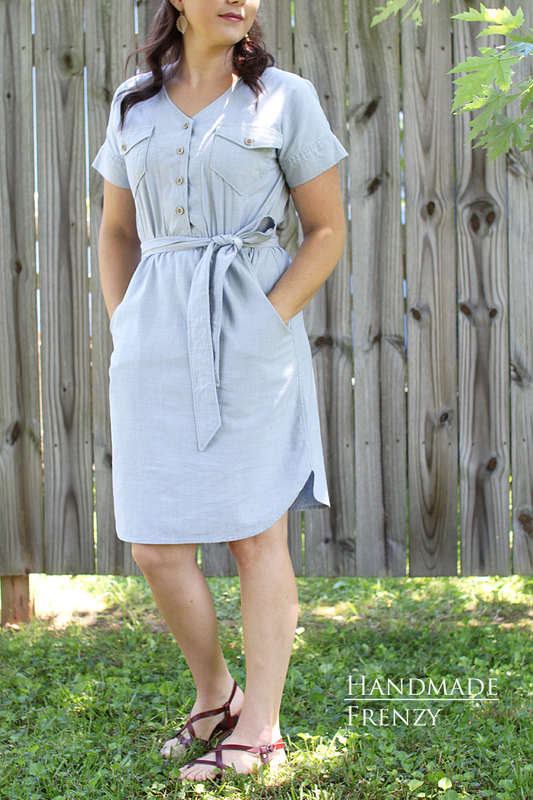 I don't have any photos without, but the dress is still cute even without the sash, and I can see myself going without it on a hot day, chasing my kiddos around the park. I absolutely love the design of this dress and am so super happy with how it turned out!! The sewing was not difficult, but not a super fast sew either. I found it to be very theraputic and had so much fun paying attention to the details. 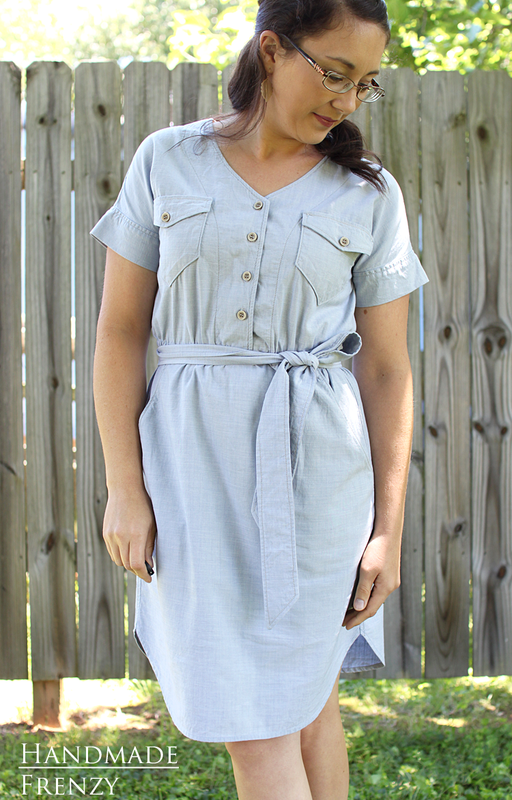 Next up is the Janie Dress by Mouse House Creations. 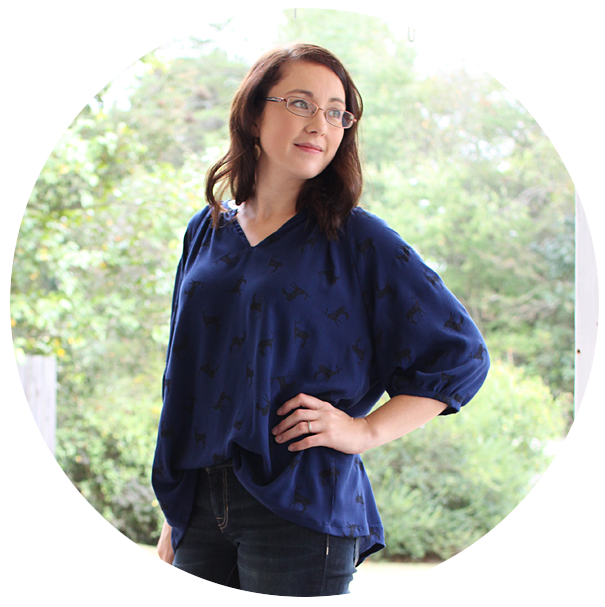 (Affiliate Links) I knew right from the very beginning planning stages of this project, this pattern needed to be married with this fabric. And boy was I right! My favorite is of course the options I made, ballet scooped back neck line, short sleeves, dress length circle skirt. It's simple, yet special, and really allows a great fabric to shine! The construction is really almost as simple as a basic tee shirt. But of course, there is the small detail of hemming a not-so-small circle skirt... Haha! The pattern is drafted well, and includes notches which makes it super easy to get everything matched up evenly for a beautiful result. I also added the suggested clear elastic to the waist to prevent the waistline from getting stretched out. She loves her new dress! With that twirl factor though, what girl wouldn't?! Thanks so much for reading! 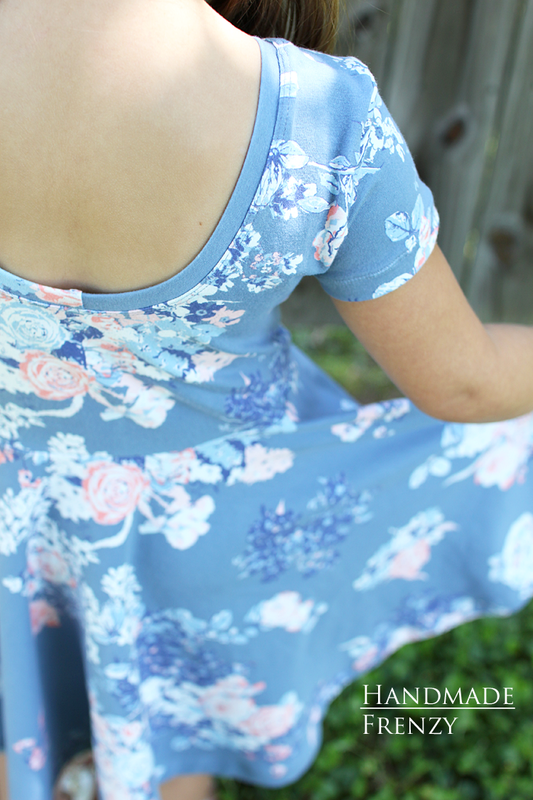 We love our new summer dresses!